Great news! 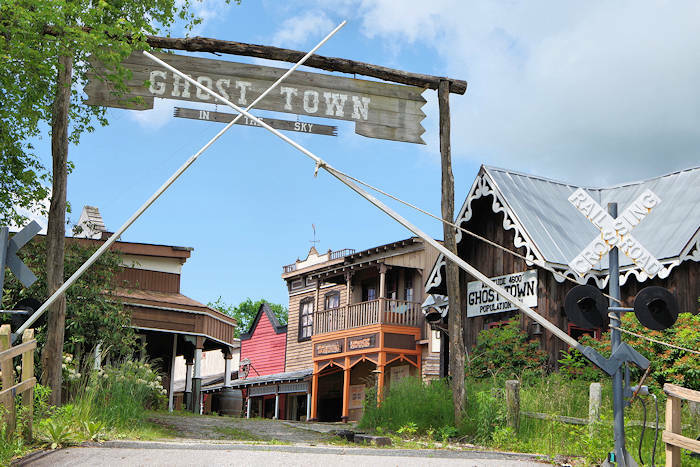 A ghost town near Asheville came back to life in 2018. The Henry River mill village has been abandoned since the 1970s. It came back to life briefly for filming of the blockbuster movie The Hunger Games in 2011, serving as Katniss' home of District 12. 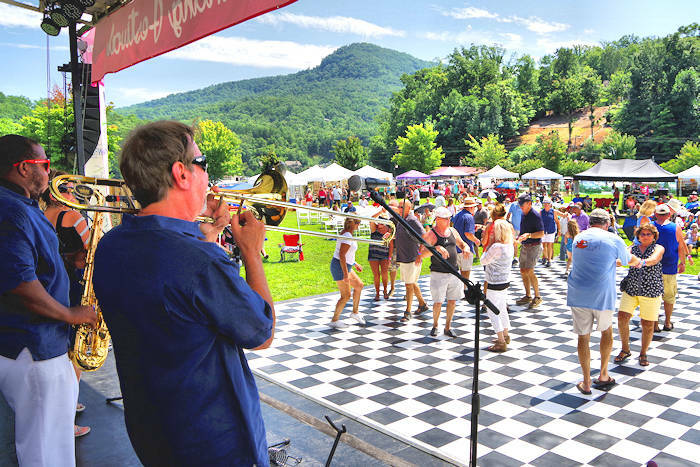 Located about an hour east of Asheville along I-40 (near Morganton), the village is open for guided tours and special events this year. 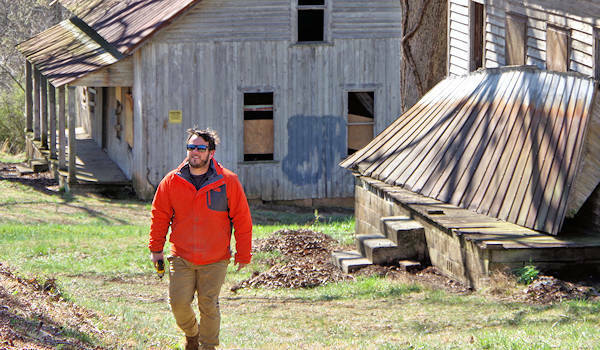 Future plans will bring a restaurant, museum and restored homes as vacation rentals. 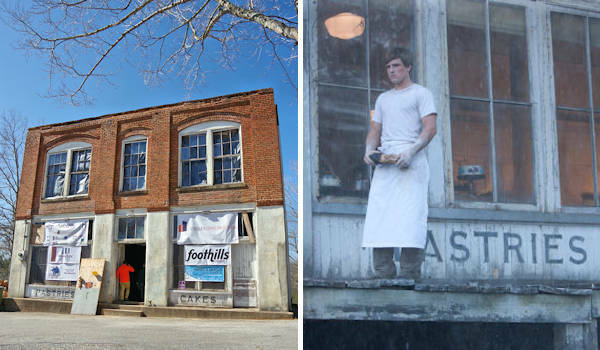 The village Company Store (pic above) served as Mellark's Bakery in The Hunger Games. The movie, which stars Jennifer Lawrence, Liam Hemsworth, Josh Hutcherson, Elizabeth Banks, Lenny Kravitz and Woody Harrelson, filmed nine days in Henry River. One of the mill houses was sacrificed during an explosion for the movie. While you can see parts of the village from the main road, come for a closer look during special events below. The Henry River Preservation Fund non-profit group is holding events and giving tours to raise money to preserve the village. The store (pic above) and a house or two will be open for a peek inside. The store will be transformed into a restaurant that will feature recipes from the village! Tours Update: Guided tours January-April at 10 AM, 12 PM, 2 PM, 4 PM (closed Tues & Thurs) - $15/person. No self-guided visits. Open 7 days a week starting May 4, 2019. Go to their Web site for info & tickets. 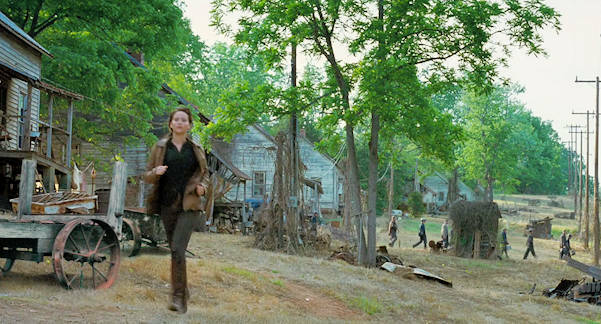 Hunger Games Tours: Special film location tours on select dates. Go to their Web site for info & tickets. Boos & Brews on Saturday, October 26, 2019: Spooky fundraiser 6-11 PM with flashlight tour, beer graveyard, 80s DJ dance party, food trucks, costume competition, paranormal investigations, more. 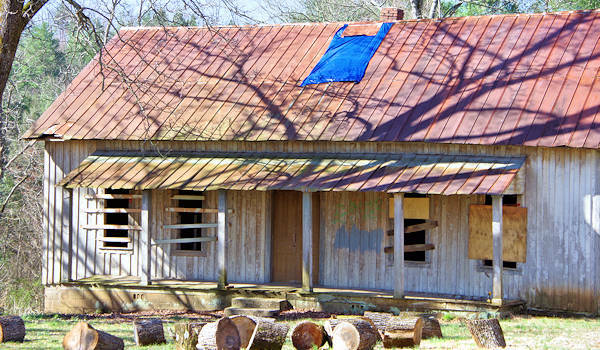 See more things to do in Burke County. Calvin Reyes and his family purchased the 72-acre village in fall 2017. They plan to convert the homes into vacation rentals and open a restaurant in the former store. He loves to share the history of the village with visitors. We are lucky that he is saving not only the buildings, but also the stories of residents that lived and worked there. Items found in the homes are being collected for the on-site museum in house 16, the home of heroine Katniss Everdeen in the Hunger Games. Directions: Henry River is about 75 miles east of Asheville. Take I-40 east to Exit 119. Turn right and head south about a half mile. GPS Address: 4255 Henry River Road, Hickory. Near the town of Valdese. The Henry River Mill Village (or "District 12") was built as a planned community with its own textile mill, dam, water and fire-protection systems, and company store. Today most of the village's original buildings remain sited along a small gorge of the Henry River. The abandoned homes are dangerous inside due to collapsing floors. Stay on the main road since the area is closed to visitors except for events and Saturday visits. In 1904 Michael Erastus Rudisill laid out the mill and village on a 1500-acre tract, chosen for its hydropower potential. The mill was incorporated as the Henry River Manufacturing Company and manufactured fine cotton yarns. In 1905, a 30-ft. reinforced concrete dam was constructed with a three-story brick mill building. The residential area of the village consisted of approximately 35 small worker's cottages. Twenty are standing today. The workers lived in boarding houses or workers' cottages built by the company, which were leased at nominal fees. Since the loss of the main mill building, the centerpiece of the village today is the two-story brick company store building. 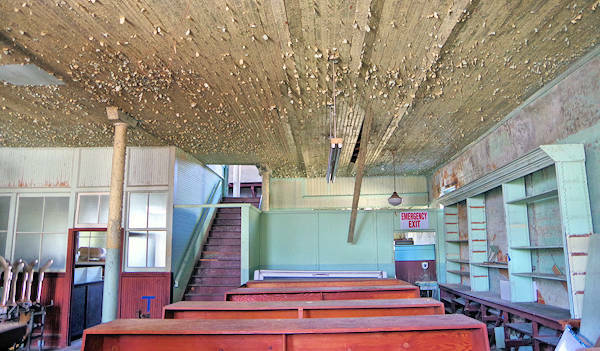 This building served as a mill office with the upper floor used as a school room and for church services from 1907-1917. The Henry River Mill originally ran on water power. In 1914, a steam plant was installed and then in 1926, the mill was converted to electric power. In its early years, the mill operated 4,000 yarn-making spindles. By the time it shut down in the late 1960s, the mill had 12,000 spindles and produced fine combed yarn for lace. The mill was closed for several years and was purchased in 1976. Equipment and materials were stored in the mill building when it burned in 1977. 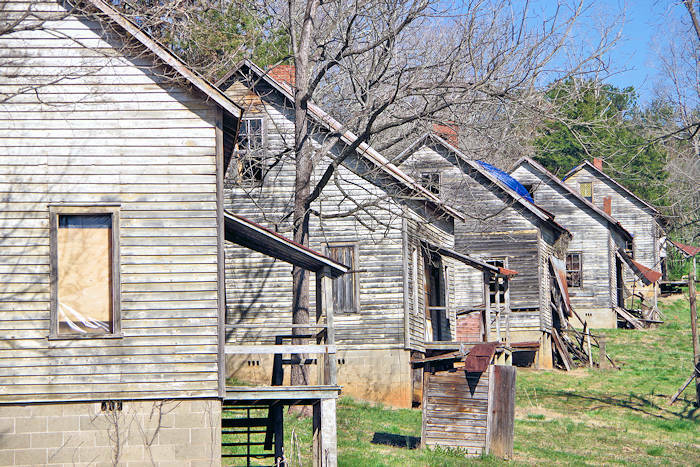 Since then, the abandoned town has been slowly deteriorating. Fortunately, the new owners have great vision and plan to preserve as much of the village as possible. 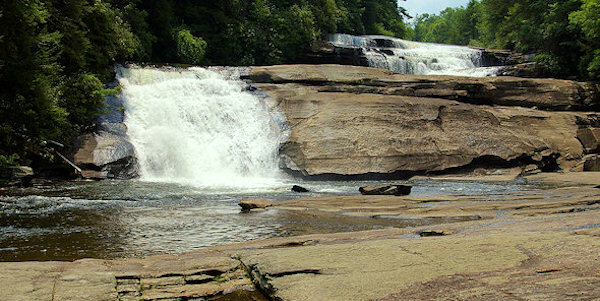 Another recognizable film location for The Hunger Games is Triple Falls in DuPont State Forest. Have a picnic on the rock where the stars filmed many scenes. 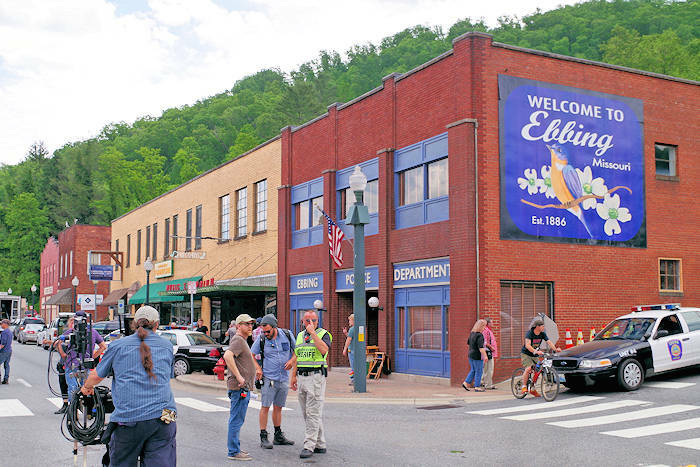 See other movies that have been filmed in the Asheville area.